Hearing Aid Source Oticon Opn Review: The Oticon Opn hearing aids are so advanced, that we can finally say that there is a hearing aid that works truly differently at helping people hear better in noise. Hearing aids have never had this kind of technology applied to solve the complex problem of hearing speech in noise.We have fit the Oticon Opn hearing aids on people who have never worn a hearing aid as well as experienced users, and the results have been amazing. These hearing aids have been reviewed by our patients and in our own clinical trials. We feel the Oticon Opn hearing aids are the best in terms of sound quality, performance in noise and have produced very high patient satisfaction. Over 96% of people who have trialed hearing aids have rated the Oticon Opn as being ‘Satisfied’ or ‘Very Satisfied’. This is a tremendous validation for us, as we have been fitting Oticon hearing aids for several years, because we believe, that they offer the best sound quality as compared to other manufacturers products. The Oticon Opn comes in 2 Reciever In Canal models as well as a Power-Behind The Ear model in all technology classes – Opn 1, Opn 2 and Opn 3. The Opn family of products has been expanded to offer 2 more models. Opn 1, Opn 2 and Opn 3 are representative of the numerical hierarchy that most manufacturers use. The Opn 1 is the flagship model offering what we believe to be the most advanced directional and noise reducing hearing aid on the market today. Sound quality remains very high even with the Opn 2 and Opn 3 models, however the Opn 3 model does away with the higher input range offered on the upper two models which maintain a high quality of sound for louder environments including live music. The build quality has been robust and very durable even with the roughest treatment to date where a patient who ran his hearing aids through the laundry. We have experienced some issues with respect to the 2.4 GHz wireless connectivity to the iPhone and the Oticon TV 3.0 device. Firmware upgrades have solved some of these issues, but not all. Homes with 2.4 GHz WIFI router signals as well as 2.4 GHz cordless phones have caused interference in wireless streaming signals on occasion. We have been told that a new firmware upgrade will be coming mid-summer 2017 with new wireless accessories which will expand the wireless connection capabilities. Few people that we have worked with, rarely if ever, venture into the IFTTT functionality, however my tests in my own home and iPhone resulted in good connections to various other internet connected devices. In our clinical trials, the Oticon Opn 1, Opn 2 and Opn 3 outperformed several other manufacturers hearing aids in Speech In Noise tests for front facing as well as side facing speech while rejecting background noise. All our tests were done in a controlled environment. What this means is that the person wearing these hearing aids will notice a significant improvement in speech understanding in noise. Oticon Opn hearing aids which, from a practical perspective, has features such as Direct to iPhone and internet connectivity, groundbreaking adaptive directionality, and lightning-fast noise reduction capabilities, just to name a few. 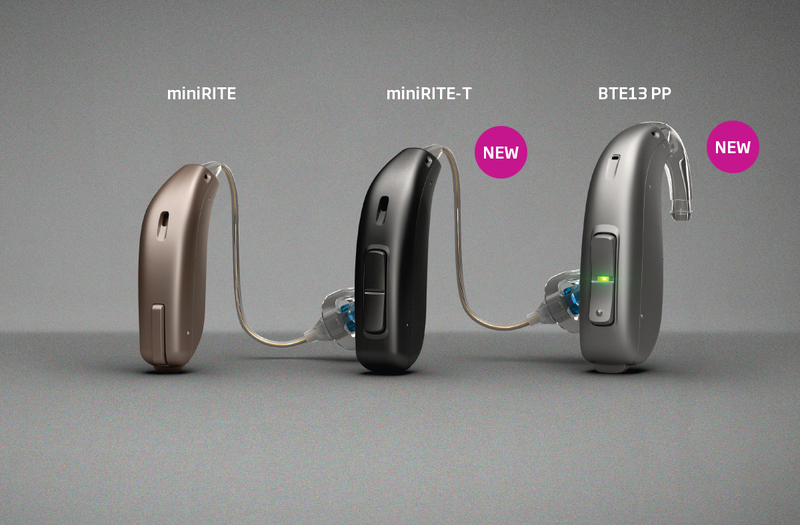 This new evolution of hearing aid amplification takes things to a whole other level with numerous industry-first technologies like dual-wireless connectivity, IFTTT connections with various internet connected devices around the home, 64-bands, 113dB input stage and more. Oticon Opn™ boasts that listeners required 20% less listening effort – reducing the load on the brain in noisy environments (compared to the Oticon Alta2 Pro), 20% more capacity to remember – freeing up mental resources, enabling the user to recall more in noisy environments (Individual benefit may vary depending upon instrument prescription), and 30% better speech understanding – even in the most noisy environments without suppressing surrounding sounds through narrow directionality (Compared to Alta2 Pro) – impressive claims that, if verifiable through our clinical testing, will transform lives of many with hearing loss. While traditional hearing aid directionality (facing desired speech sounds in noise) has been a great feature and has proven to greatly improve the ability of those with hearing loss to hear speech in noise (by far, the number one concern of hearing aid wearers) there are a few obstacles traditional directionality creates. Firstly, directionality is less effective in situations where the client is unable to face the desired speech (such as while driving or in certain work situations) or in crowded social settings with many speech signals. Second, “sound localization” (one’s ability to recognize and find where a sound is coming from) is a more difficult process in “directional mode”. Third, certain noises generally increase in traditional directional mode resulting in a less-natural sound. Imagine those with hearing loss being able to focus on a conversation while still being able to hear, recognize, enjoy, and accurately place all sounds around them. Omni-directional directionality? Exciting, to say the least! Oticon Opn™ is also the world’s first hearing aid that connects to the internet via If This Then That (IFTTT.com), a web service that automates other web-based functions to make life easier. Users can connect to a wide range of IFTTT-enabled devices used in everyday life such as door bells, baby monitors and thermostats. Oticon Opn™ provides users with a solution that will enable them to use their hearing aids with a growing number of IFTTT-compatible products and services as they become available. Book a FREE hearing test with Hearing Aid Source today or call one of our hearing specialists with any questions you may have about hearing loss, today’s latest technology, or what makes Hearing Aid Source your best choice for hearing care in the Toronto area. Much superior to previous aids. Conversations with many participants are very much easier and more pleasant for them and me. Tafelmusik was good with CIC aids – great with these. Dog barking not disturbing now. Wind whistling does not interfere with conversation as it does with CIC. Comfort level much better than CIC. “My you have sensitive hearing” Eating crunch does not interfere. My own voice now sounds like me. Conversations with many participants are very much easier and more pleasant for them and for me. Musica was good with CIC aids and great with these. Dog barking not disturbing now. Wind whiltling does not interfere with conversations as it does with CIC. Comfort level much better than CIC.